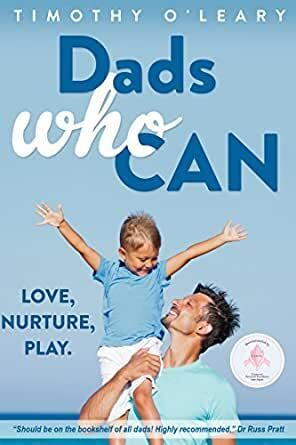 Dads Who Can is the perfect book for new dads. With the use of engaging text and colourful images, it shows dads how to be there for their family from pregnancy to teen-years in a warm and conversational tone. it's a book for dads, by a dad, written by Australian fatherhood-expert, Timothy O'Leary based on more than 20 years of working with parents. It also features the '2-windows' approach that is the the simplest way for new dads to understand what their baby and child needs and how to bond with their new baby and stay connected to their kids through childhood. There's also a way for dads to manage the work-life balance and prioritise everyone's health and wellbeing.